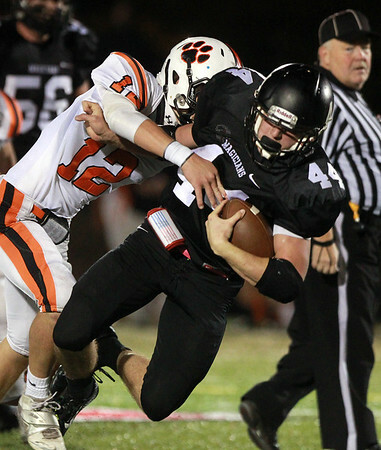 Marblehead senior running back Brooks Tyrrell (44) plows forward while being brought down by Beverly junior linebacker Matt Carnevale (12). DAVID LE/Staff photo. 10/10/14.